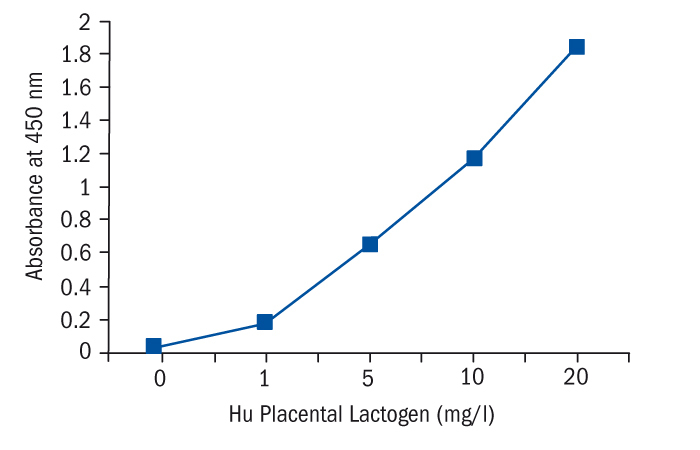 The physiological role of human placental lactogen (HPL) has not yet been established, but the great similarity to human growth hormone has stimulated the hypothesis about a function as a regulator of feto-placental growth and other physiological alterations during pregnancy. It has been suggested that the maternal serumlevel may reflect on “index of placental function”. Depressed levels of HPL are seen in association with intrauterine death, fetal distress in labor and birth asphyxia. This association is particularly strong if depressed levels are seen repeatedly, implying a chronic state of placental and therefore fetal compromise. Depressed levels are usually not present if the pregnancy has proceeded uneventfully to term. Elevated levels of HPL are usually indicative of optimal pregnancy outcome in singleton pregnancies. However, high levels may indicate substantial fetal pathology in specific diseases, namely diabetes mellitus and fetal macrosomia, rhesus isoimmunization and hydrops fetalis.